The official weigh-ins for “UFC Fight Night: Machida vs. Munoz” take place today inside Manchester Arena in Manchester, England. Stream Friday’s weight contest live right here on 5thRound.com starting at 11AM ET/8AM PT. 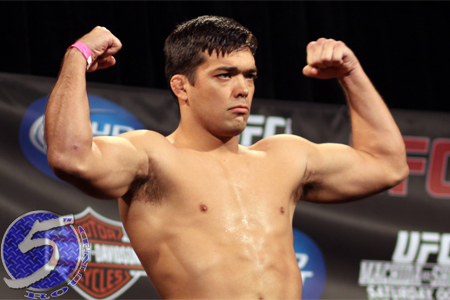 Former light heavyweight champion Lyoto Machida (pictured) makes his UFC middleweight debut against Mark Munoz in the show’s featured attraction. Lightweights Melvin Guillard and Ross Pearson serve as the co-main event. Tomorrow’s Fox Sports 2 broadcast begins live at 3PM ET/Noon PT.